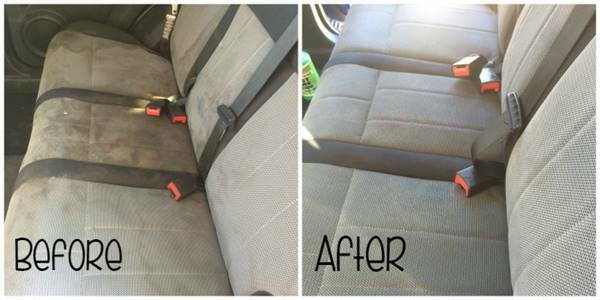 A professional automotive interior upholstery carpet cleaner machine is what you need to get tough spots and stains out of your customers vehicle interiors. 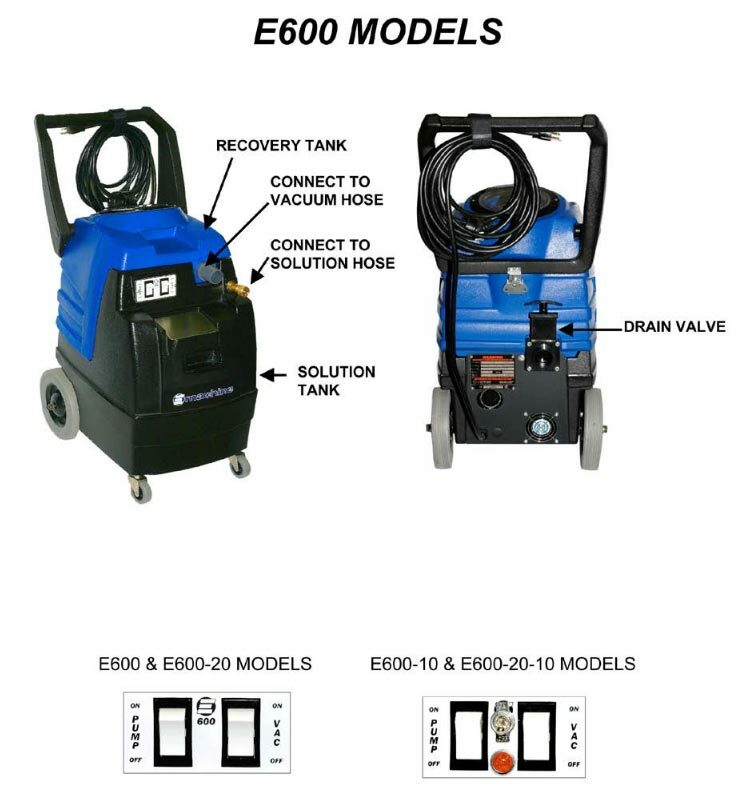 Car detailing shops, car wash facilities, new and used car dealerships love the ease and durability of the E-600 hot water extractor. 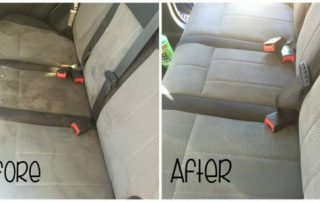 Cleaning floor mats, carpeted side panels and stubborn car seat spills and stains are a breeze! 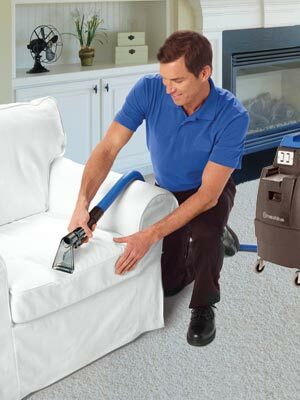 What makes the E-600 a great portable carpet cleaner and interior washer? 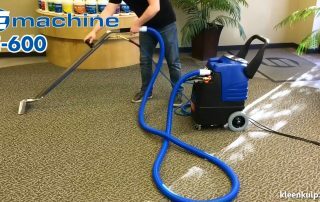 Its deep cleaning ability is the most important consideration, but don’t forget about durability and portability. Because you will be moving the machine from job to job it should be relatively light and and made from brand name quality parts so that it can take the bumps and bruises you will undoubtedly give it over the years. 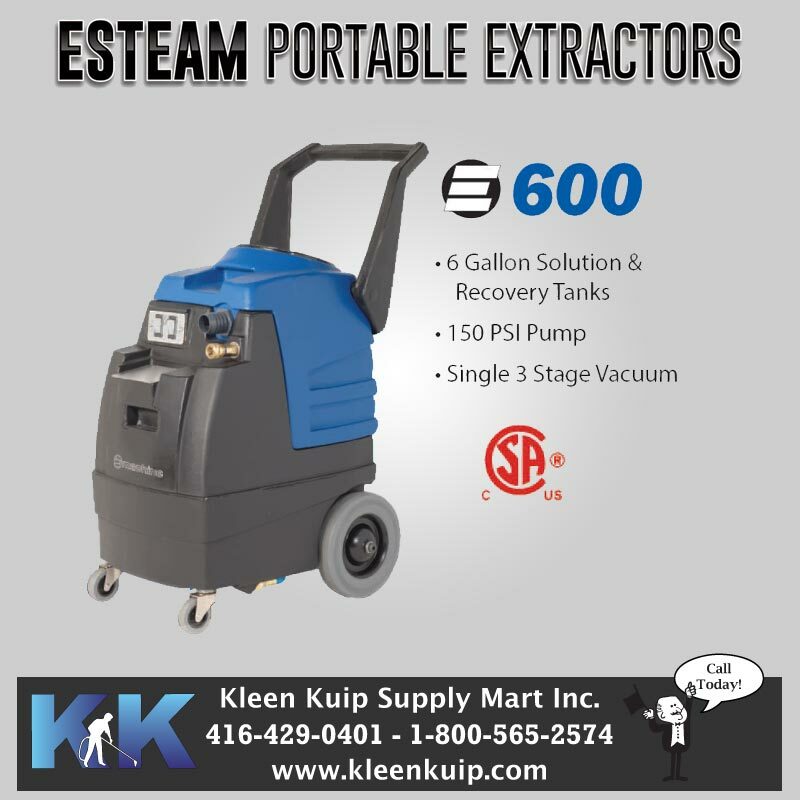 Optional 200°F Internal Heater to help improve the removal of stubborn stains and caked on dirt and grime. 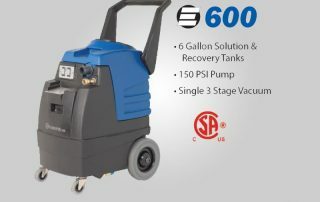 The E600 is a professional strength hot water upholstery car shampoo machine that features high performance components in a compact, durable two tone polyethylene housing. 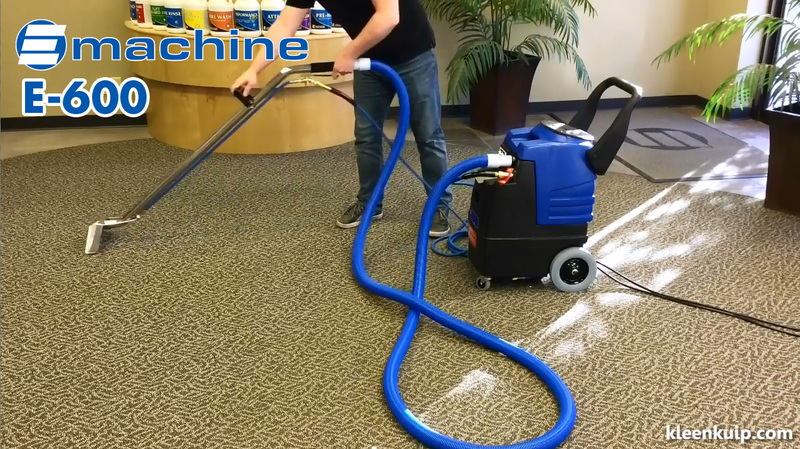 Perfect for both carpet & upholstery cleaning and automotive detailing jobs. Remove grease, grime, spots, spills and stains quickly and effectively. Great for cleaning carpet & upholstery and mobile car interior detailing. We also stock a wide assortment of auto detailing tools and cleaning supplies. Optional 200°F Internal Heater to quickly break up grease and dirt.